Kinshasa 11-04-2019 Politics - Members of the Common Front for Congo (FCC) and Cap for Change (CACH) have begun discussions on the structure and nomenclature of the next government, Jean-Pierre Kambila announces. According to him, the members of these platforms which cut off in the town of Kinshasa review all the details related to the formation of this government. "The architecture, structure and nomenclature of the next government, we must agree on all these details. It will be a reasonable government, with less than fifty departments, "he said on Top Congo. 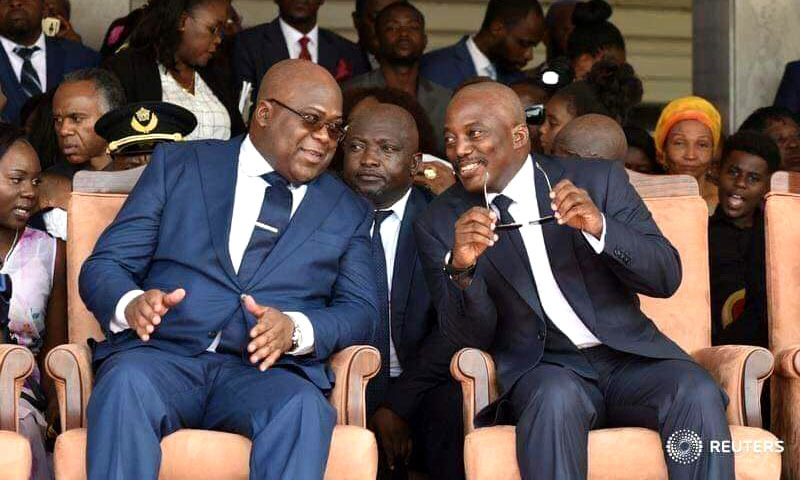 More than two months after his investiture, Felix Tshisekedi has still not appointed a government trainer. Observers question the main reasons for the appointment of the Prime Minister. Meanwhile, the Tshibala government continues to deal with current business. The President of the Republic, through his chief of staff, Vital Kamerhe, is particularly active on urgent issues. Hardly invested, the new president had to face an important social front. Strikes of civil servants and students have multiplied across the country. Thus, the outcome of FCC-CACH discussions will be crucial to know the next Prime Minister. This also implies the determination of political balances.